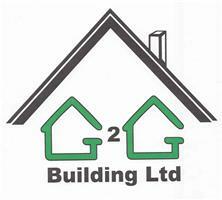 G2G Building Limited - Builder, Fascia/Soffits/Guttering, Windows/Doors/Conservatories based in Findon Road, West Sussex. With over 30 years’ experience in the business, G2G Building Ltd has gained extensive knowledge of all aspects of the glazing and building industry. We are FENSA recognised qualified glazing surveyors/installers with a thorough understanding of apertures, buildings, lintels and cavity trays. Our business has established itself with a reputation for quality workmanship, reliability and professionalism. Our staff receive ongoing training and carry certification relating to their skills and knowledge. G2G Building Ltd specialise in all aspects of fenestration including all types of window and door repair and replacement, conservatories, orangeries, glass balustrading, curtain walling and much more. G2G Building Ltd is extremely proud to say a big THANK YOU to all of our many returning customers for their continued support. No job is too small or too large so please do contact Jackie on 0800 193 4240 to discuss your requirements and allow us to assist you with your project.